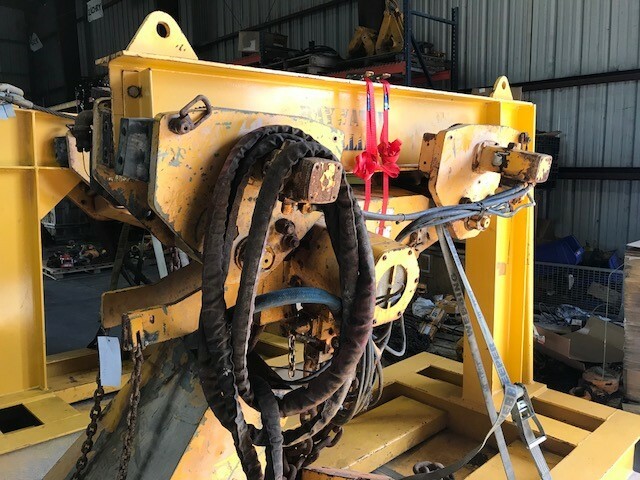 These are monorail air powered chain hoists used on drilling rigs, both offshore and land based, for moving and positioning Blow Out Preventers (BOP). The BOP hoists are manufactured by J.D. Neuhaus. The industry term of hoists used in this application are “BOP Hoists” or “BOP Handling System”. Routinely, following the manufacture’s recommended schedule, the hoists are overhauled according to an approved scope of work that includes complete dismantling, blasting corroded surfaces to bare metal, cleaning and inspection. All components and parts that are no longer in compliance with OEM criteria for continued use are replaced. Specific components are subjected to non-destructive testing. Before & during re-assembly, surfaces of parts are coated with epoxy primer/paint. After final assembly an “Offshore Coating” of epoxy coating with a minimum build thickness of 9 mills is applied. After the hoists are reassembled, customers and or third party witness are invited to attend the load testing of each hoist. 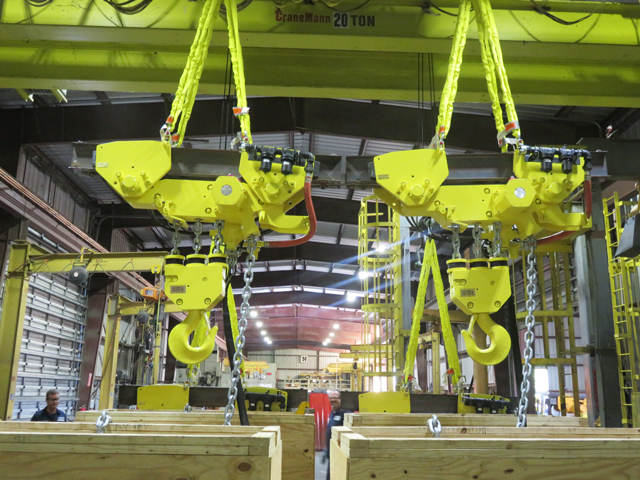 The test machines at Delta Rigging & Tools apply dynamic loads to a hoist, which simulates “live load” which is considered real world working conditions. After completion of an overhaul, customers are supplied with the following documentation: Overhaul Certificate, Factory Acceptance Test Certificate, Load Test Certificate, Chain Certificate. Additional documentation such as OEM Parts, Operation and Service Manuals may accompany hoists depending on circumstances. Depending on individual customer needs, completed hoists are packed in special built crates suitable for domestic and international transit. Delta Rigging & Tools has the shop, facility & inventory capable of turning around an overhaul to a common BOP Handling System, or almost any air powered chain hoist, in as little as 4 to 5 weeks. Delta Rigging & Tool’s shop has the equipment and infrastructure to conduct the same overhaul process to hydraulic chain hoists; and overhaul air powered & hydraulic winches to the same degree as hoists. In addition to the capabilities of the shop, Delta Rigging & Tools maintains a staff of field service crews that can be available to dispatch to service hoists at customer’s sites around the world. Contact us for your repair and refurbish needs!